June 6, 2018, Victoria B.C. 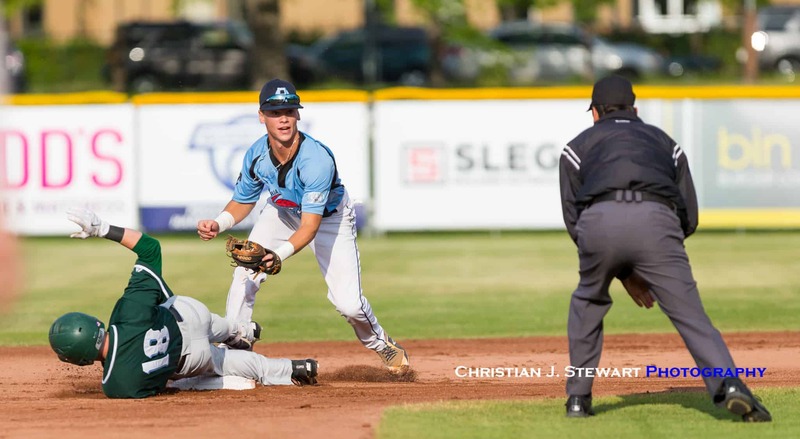 – Help from reinforcements and quality pitching on the bump helped get the Victoria HarbourCats over .500 for the first time this season Wednesday night in a 6-5 win over the Yakima Valley Pippins at Wilson’s Group Stadium at Royal Athletic Park. Starting pitcher Tyler Hilton (College of Idaho) was a rock on the mound finishing with five strikeouts, one walk, and two hits surrendered in six full innings pitched. Hilton’s performance adds to a common theme in all three Victoria victories this season. 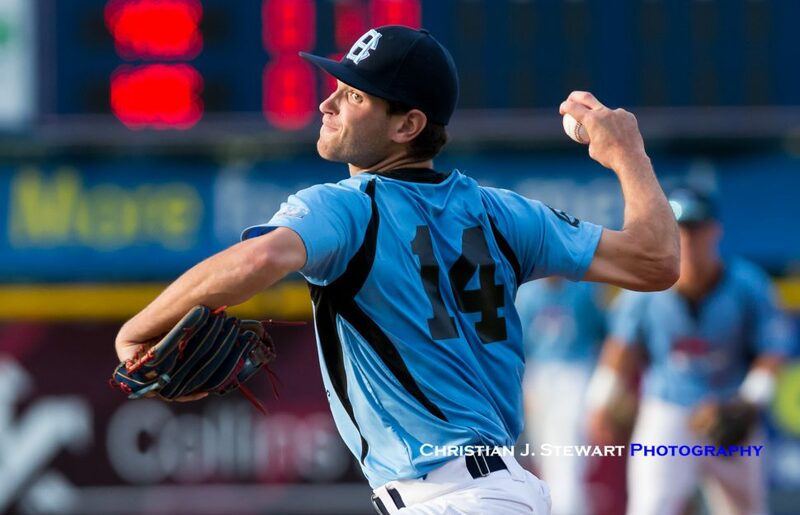 In the three wins, they have gotten quality pitching from their starters – Sam Brunnig went four strong with three strikeouts last night, and righty Garett Goodall racked up six strikeouts in five innings last Saturday. HarbourCat pitching combined to hold the Pippins to five hits, and two walks in their second consecutive victory over Yakima Valley. The Pippins got on the board quickly in the top half of the second, aided by a costly error from HarbourCat newcomer Adam Imwalle, who started at shortstop tonight. Sam Mitchell of Yakima Valley got the inning started with a double to left center off Hilton, and scored after Pippin outfielder Jonathan Imperial’s ground ball went through the glove of Imwalle, making the score 1-0 early for the visitors. 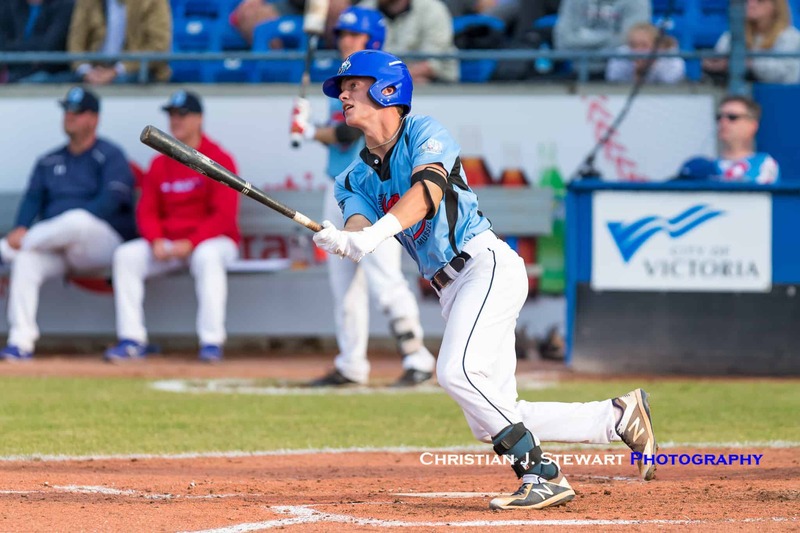 Imwalle was not the only HarbourCat to make their season debut in the middle game of the series, as a number of Victoria regulars have wrapped up their collegiate season and are finding their way to Victoria. Harrison Spohn and Nick Plaia both of Cal Baptist made their first starts of the season, while newcomers Lawson Humphries, Trevin Reynolds, and Cade Brown were also called up to the Island today. Imwalle was the first of those to make a dramatic impact and aided by command issues from Pippin southpaw Tanner Inouye, who walked the bases loaded, Imwalle, in his first at bat of the season, launched a bullet to the wall in left field, clearing the bases with a stand-up double, giving Victoria a 3-1 lead. Also making an impact on the night was returning catcher Hayden Jayco who had a pair of hits, including a two RBI-double in the sixth, walked twice and scored a run to earn player of the game honours for the night. 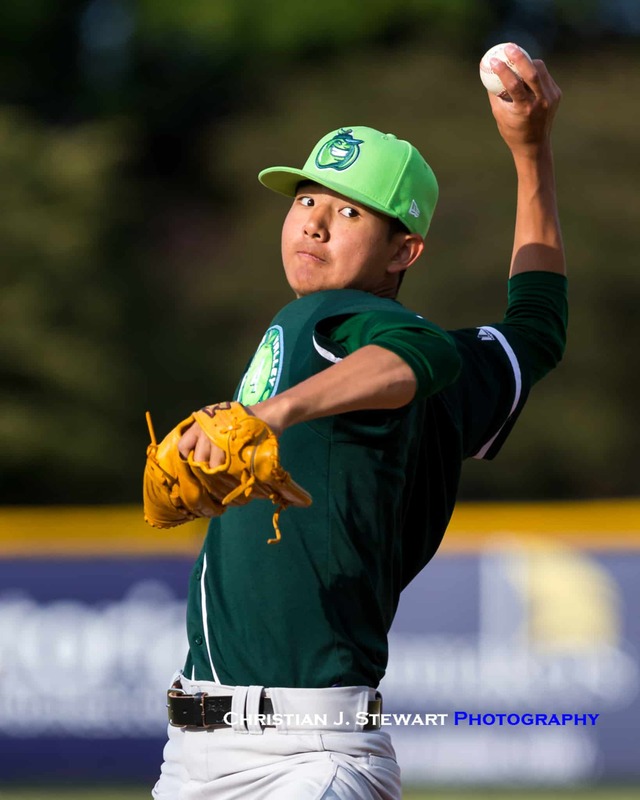 After Ping-Chun Ho entered the game for Hilton in the seventh, and fired two innings of no-hit ball, things looked smooth for Victoria, however, there were some nail-biting going on in the top of the ninth when Jacob Potter came in for relief. Potter loaded the bases, and didn’t get any help from his defence when Jack Smith booted a tailor-made double play which cut the HarbourCat lead to four. Potter then fired a wild-pitch passed Jaco, making it a 6-3 game. The Pippins rally continued from there, as Potter gave up a RBI groundout and single to make it a one run game. That was all McRae needed to see from Potter, as he summoned Po-Jui Huang to close out the game. Huang didn’t dissapoint his manager, as the right hander from Taiwan got Cole Smith to fly out to end the ball game. 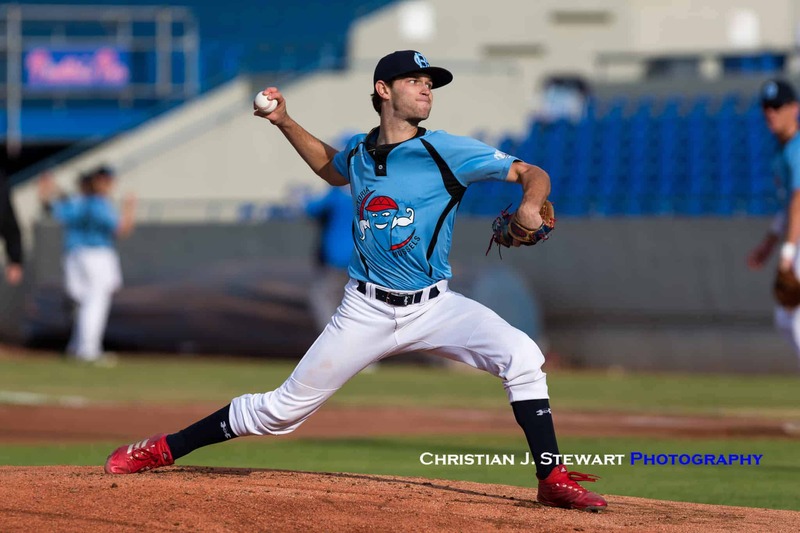 The HarbourCats wil look for the series sweep tomorrow morning at the annual School Spirit Day tomorrow morning at Wilson’s Group Stadium at Royal Athletic Park, as Ethan Fox makes his second start of the season in front of over 2400 school kids. First pitch is scheduled for 11:00 am. GAME NOTES: HarbourCat pitcher, Claire Eccles, who joined Victoria for her sophomore season from the University of British Columbia was behind the plate Wednesday to receive a first pitch from a Beacon Hill Little Leaguer in front of 1,438 fans at Wilson’s Group Stadium. Eccles, whose bobblehead day will take place Sunday June 10th 1:00 pm matinee against the Coquitlam Angels, received a raucous applause from the home fans. CAT SCRATCHES: As new players arrive, changes have to be made and some early faces are making their exits. 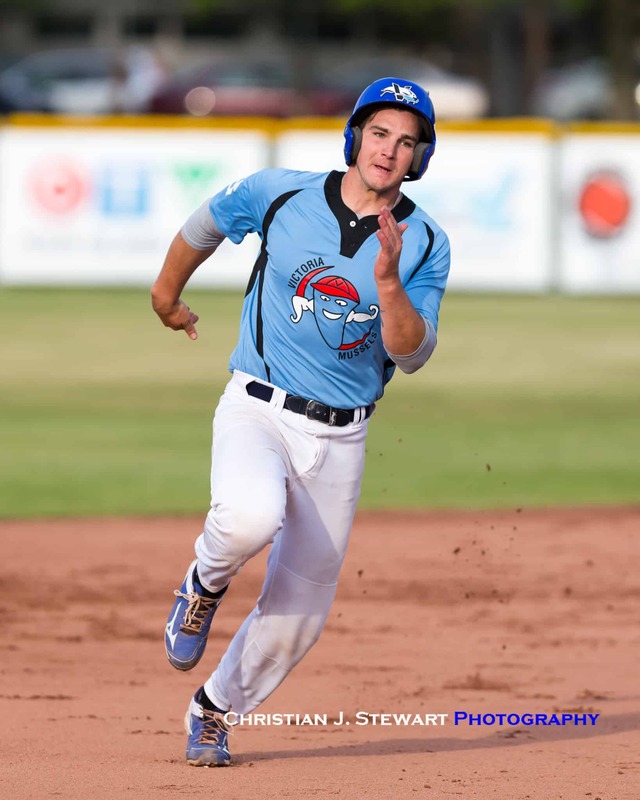 Colton Peha and Jeremy Jess have been released, while Jake MacDonald has been assigned to the WMBL. Adriel Quesada and Alejjandro Ortega are temporarily off the roster and have been designated for conditioning assignments. Po-Yen Chen and Chang-Chi Yeh are also awaiting reassignment.